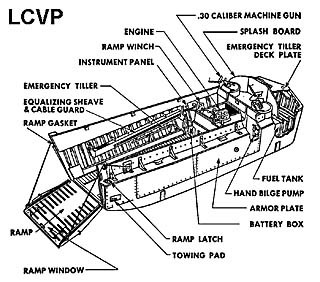 The Landing Craft, Vehicle, Personnel (LCVP) or Higgins Boat was a 36 foot long self-powered barge with a large ramp on the bow that was used in WWII for the Normandy and other invasions. There were more than 20,000 built by Higgins Industries during the war, but very few survived due to the plywood construction. These vessels had a beam of almost eleven feet and a draft of only three feet (2 feet forward), which allowed them to approach the beaches very closely and drop personnel onto the surf zone of a beachead. The thirty-six troops on board were protected by two thirty caliber machine gun turrets mounted near the transom. The LCVP in Lake Washington was scuttled not far from Gene Coulon Park in about 90 feet of water. 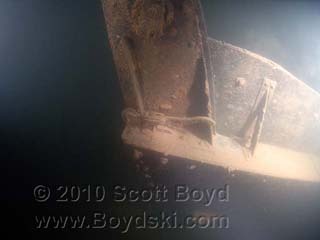 The wreck is sitting on the bottom, with the ramp down. The engine, drive train and 30 caliber machine gun have been removed. This particular craft has been identified as the PA 52-22, which was attached to the USS Sumter (APA-52). The Sumter's landing craft participated in the invasions of the Marshall Islands (Jan 1944), Saipan (June 1944), Palaus (July 1944), Philippines (October 1944), Lingayen (Jan 1945), and Okinawa (April 1945). There is a very good chance that this Landing Craft participated in the majority of the above WWII invasions. Diving this wreck today is a pleasant journey back into history. 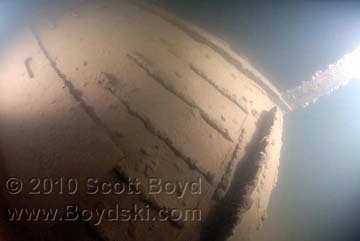 The visibility at the South end of the Lake is usually not very good, but the shallow depth makes this a very easy wreck dive, making this a great choice for a second dive after one of the deeper wrecks in the lake. 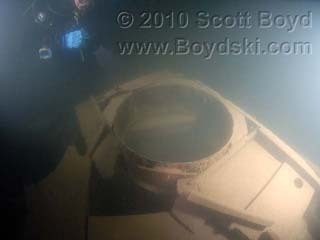 This historic wreck is also very close to the location of the PBM Mariner, making the pair a good introduction to the very low visibility wreck diving offered by Lake Washington.